Beat the heat in cool Watsonville (Santa Cruz county)! Enjoy the best, hands-on law enforcement training available, while keeping cool with coastal weather, during this intensely hot summer! We are wrapping up our California classes for 2018 with Rolling Surveillance and Rolling Surveillance II. Register online now before you miss out on the Early Bird discounts. Feel free to bring your team and train together. When everybody is on the same page, you will be all the more effective and successful in your mobile and foot surveillance. With Rolling Surveillance™ created by Tim Lewis, you will learn the best techniques to keep from burning or losing your operation and then have fun learning hands-on in the uncontrolled environment of the streets, simulating being on the job. 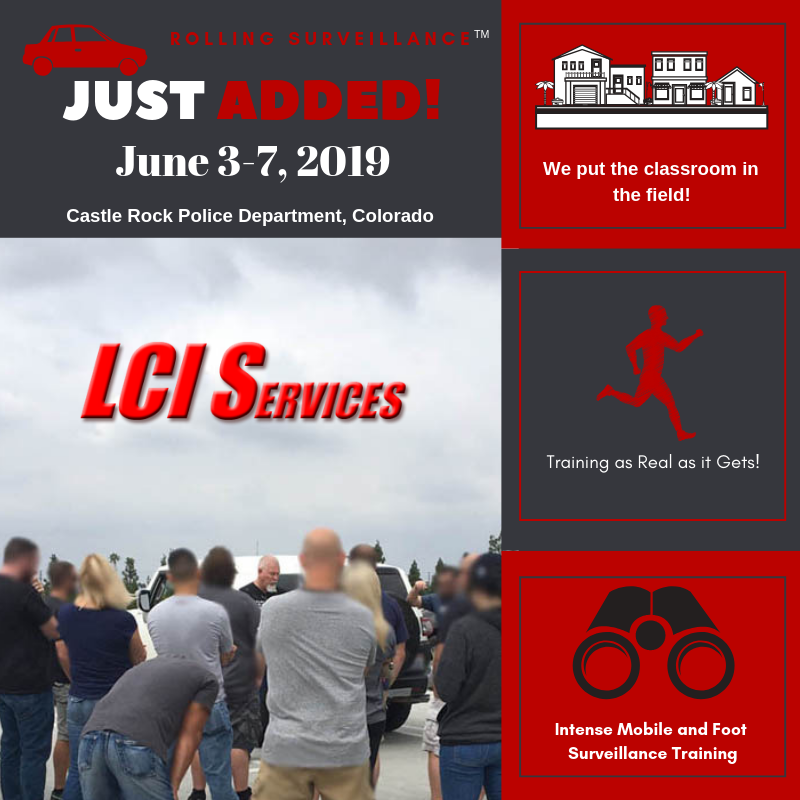 Check out our Testimonials page and see why we are the top in Law Enforcement mobile surveillance training. Previous PostRolling Surveillance is Coming to New MexicoNext PostBeautiful Skies and Law Enforcement Training in New Mexico!